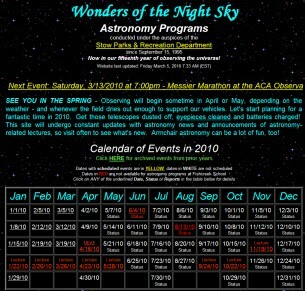 Dave isn't an astro-imager, but wants to be included here to show the joys of public outreach. 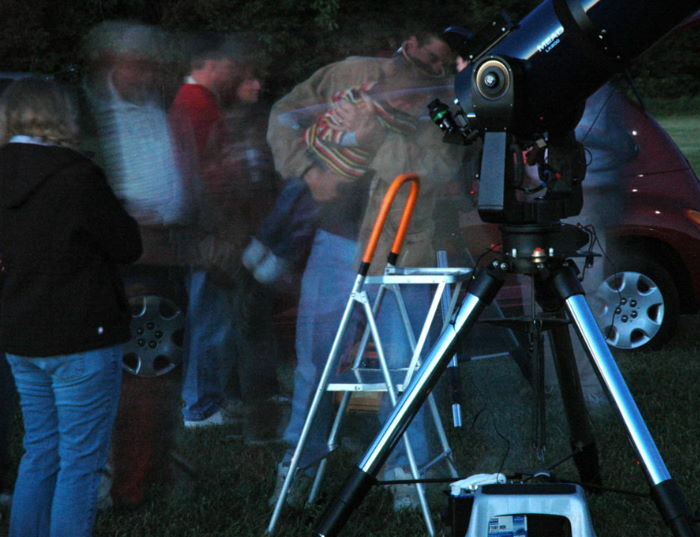 Visual astronomy, outreach and the equipment - how much more fun can you have? Click the image thumbnails below to view the full-size photos. 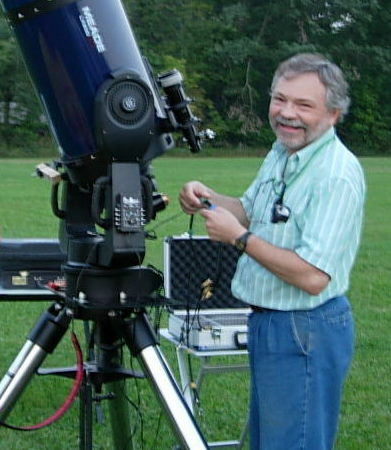 Dave is shown here setting up his 12" Meade SCT in September 2004 for an outreach event in Stow, one of his favorite activities. Dave getting first-light with the new TEC 140 on 4/15/08. Mounted on a CGE and using Denkmeier II binoviewers, target was the waxing gibbous Moon. Destination: outreach event! 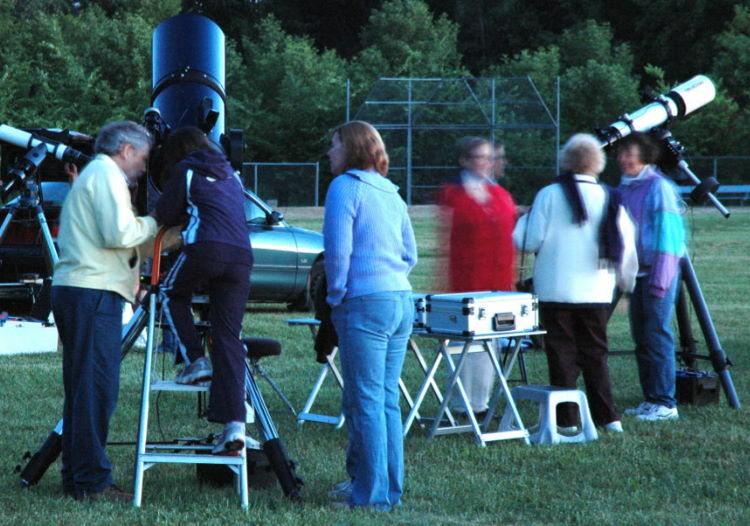 The trailer carries several complete telescopes into the field behind Fishcreek School for an outreach event. 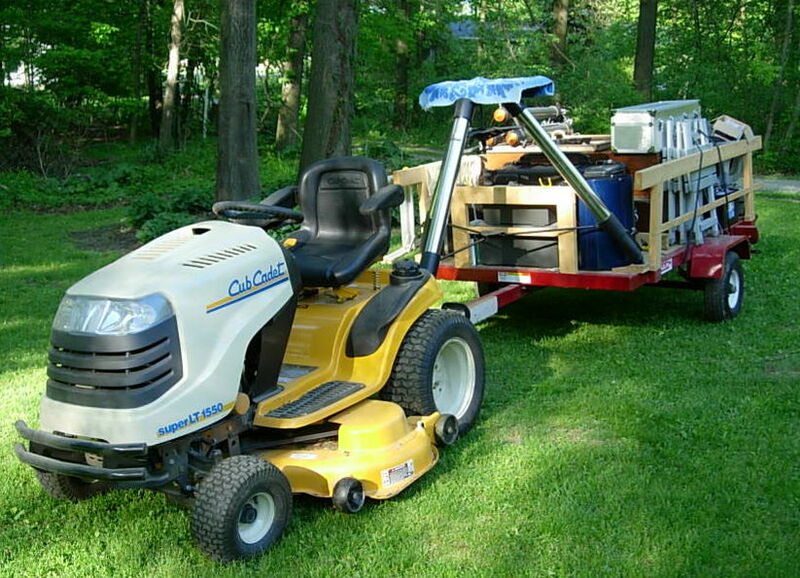 Doesn't everyone haul their gear with a garden tractor? Outreach event in Stow in June 2007. 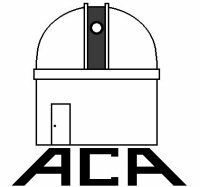 Photo taken by ACA member Ray Hyer. Outreach is for the young - and for the young at heart. Outreach event in Stow in June of 2007. This child may wind up being a professional astro-physicist and make science-changing discoveries. We can dream, can't we? Outreach solar viewing setup showing side-by-side mounting on a CGEM DX. Scope on left is a Coronado MaxScope 90 w/doublestacked h-α etalons. 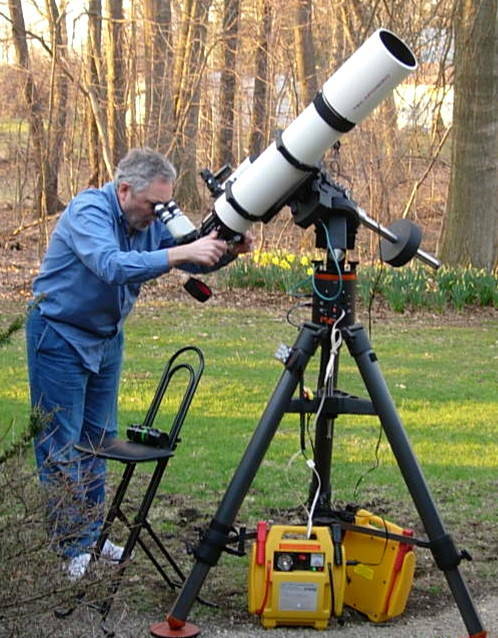 This scope allows solar prominences, flares and plage to be seen. Scope on right is a Meade 102ED with a Baader Herschel Wedge for viewing details in sunspots.